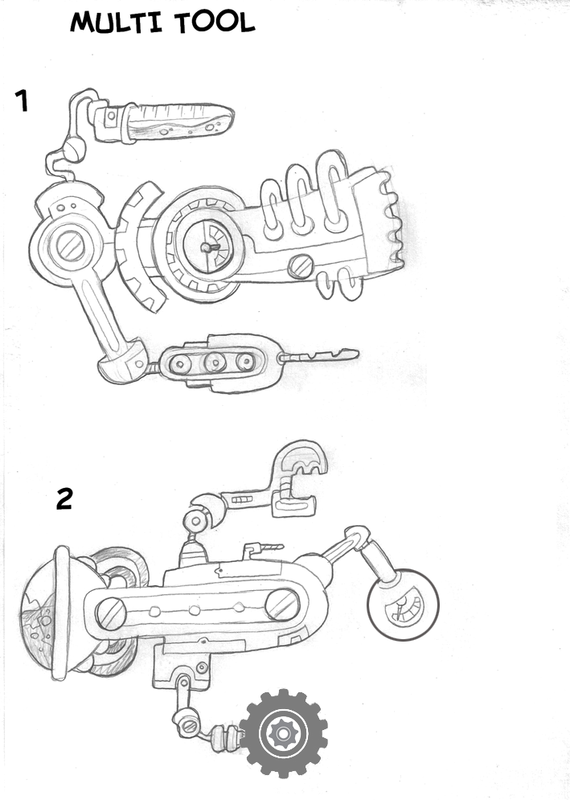 Yesterday, we introduced a handy tool that you will need for the next Poptropica island, called the "Multi Tool." I can imagine that you may be thinking, "Multi Tool?...Hmmm...It must be used for multiple tasks." It's true that this device will do more than open a can of soup. 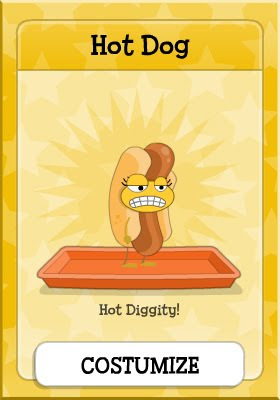 This is not the only tool you will need to make your way through the next Poptropica adventure. Tomorrow we will show you another inventory item that you are certain to have a blast using. With the colors and the scale of the Phoenix Warbird in place, it's time for a few final tweaks to the design. 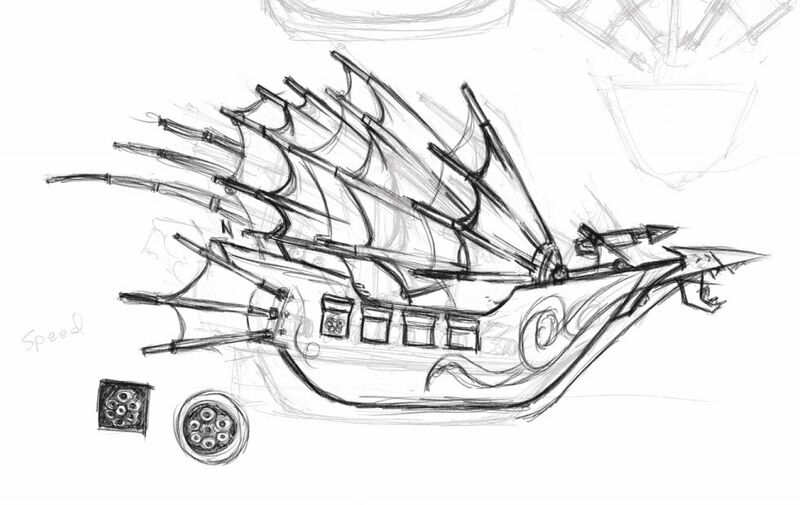 For that extra "oomph," the creators give the ship a set of fierce-looking talons. And it's done! 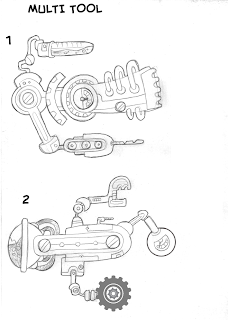 Starting with one basic idea, the creators sketch out different possibilities, choose a direction, and then refine and improve the design until the final version you see here. 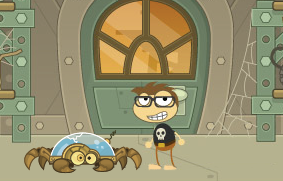 Here's how it looks next to an actual Poptropican. And here's a look at the Phoenix Warbird when it takes to the seas. Pirates of Skullduggery Island, tremble in fear! Of course, seeing the Phoenix Warbird in pictures is one thing. Taking the helm of this mighty vessel is quite another. 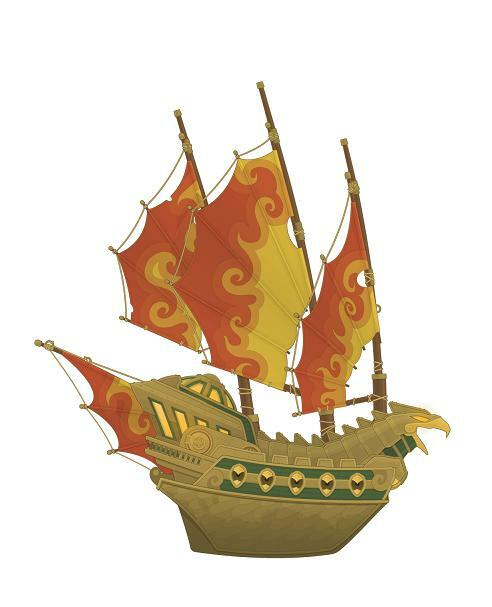 Have you earned enough doubloons in Skullduggery Island to buy the Phoenix Warbird? If not, what are you waiting for? Play Skullduggery Island now! Stay tuned next week for a new item in the Poptropica store! The creators worked hard to get the details right, and now it's time to give the Phoenix Warbird a sprinkling of that old Poptropica magic. The designers color in the black-and-white outline they made earlier. 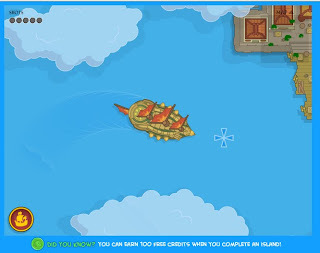 They create a simple background of water and sky to demonstrate how the ship will appear in Skullduggery Island. And, as before, they add a little reference box that shows how big the Warbird is compared to a Poptropican. The Phoenix Warbird is almost ready to set sail on Skullduggery Island! 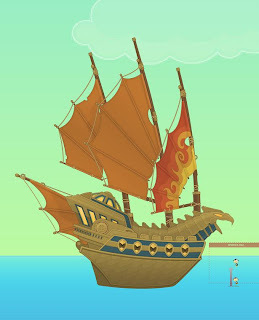 Poptropica fans already know that the Phoenix Warbird is the strongest ship on Skullduggery Island. But it didn't always look that way! The designers went through several rounds of revisions, tweaking existing ideas and coming up with new ones. 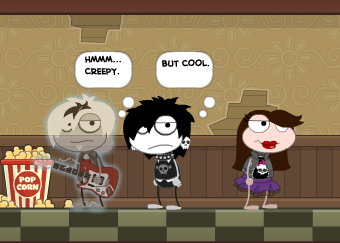 Finally, they had settled on the basic design and set to work putting it into Poptropica. The first step: a black-and-white wireframe, which adapts the earlier sketches into the Poptropica style. See that little box above the ship and to the right? That's to help the designers remember how large the ship is in comparison to your Poptropican. The ship isn't finished yet. 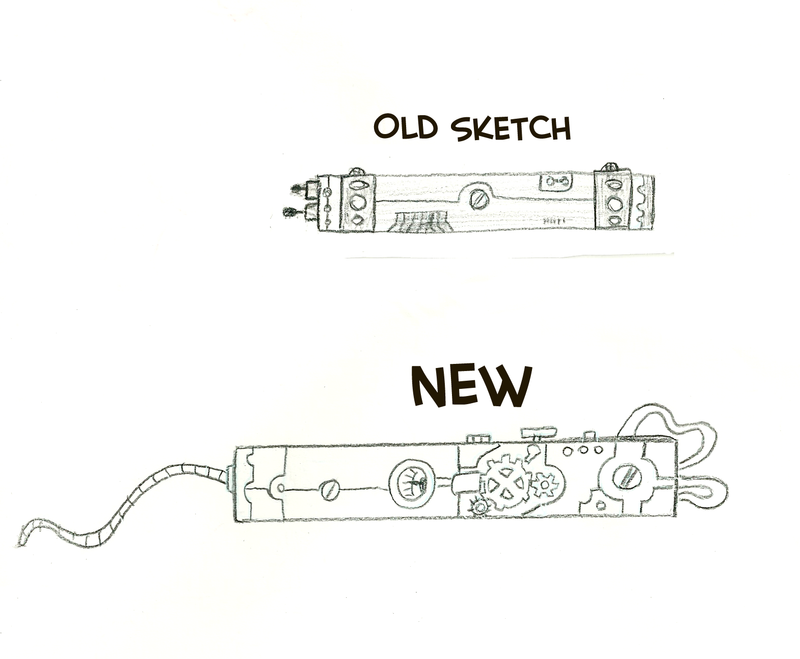 There are more design tweaks to be made, not to mention the most fun part: Coloring! On Skullduggery Island, players start with a junky old sloop, and earn doubloons to buy bigger and better boats. 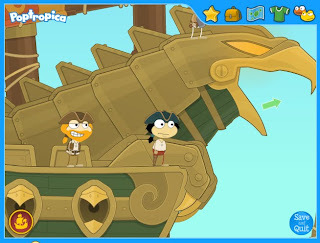 Early on, the Poptropica creators knew they wanted the most powerful ship to have an animal theme. Even so, there were still dozens and dozens of smaller decisions to make. 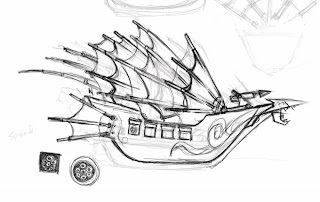 Should the boat look realistic or fantastical? How big should it be? Should it be scary? 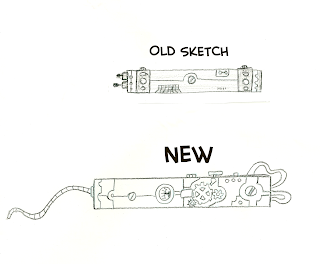 To explore the possibilities, the designers made a few more sketches. After another round of discussion (okay, arguments), the creators settled on a direction and set to work on the final version. 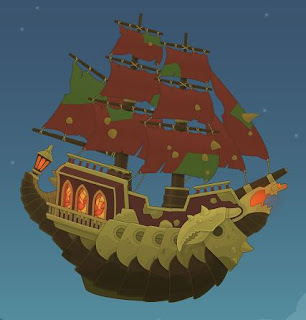 If you've earned enough doubloons on Skullduggery Island to buy the Phoenix Warbird, then you know it's the fiercest craft around, even more than Captain Crawfish's ship. Neat, huh? But that was just the beginning of a long journey. Over the next couple of days, we'll show you more. Stay tuned! The time has come to make the most important choice of your life! Hot Dog or Tofu Dog!! Pssst. Go visit the store and see. The wait is over! Skullduggery Island is available NOW for everybody to play. So what are you waiting for? Play Skullduggery Island now! Ha! I'd like to see you try. Bring it on -- tomorrow. You'll meet some shady characters on Skullduggery Island. You'll visit some shady places, too. Can you believe this creepy house belongs to one of the good guys? Oh, Skullduggery Island, you are a dangerous place. 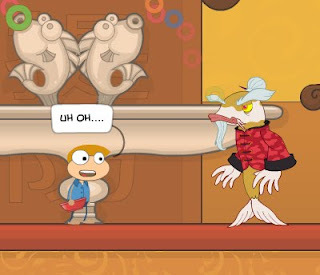 Only two more days until the latest Poptropica adventure is available to all! You've got to work your way up in this world. One day, you're a lowly deckhand, sailing on a ratty old sloop and taking orders from a nasty old sea captain. But if you've got the right stuff -- if you can defeat pirates and sea monsters, and outwit crooked traders to make your fortune -- you just might take become a nasty old sea captain yourself. Only then can you take the reins of a mighty ship... like some of the ones below! Of course, there are even bigger and better ships out there, if you can find them. 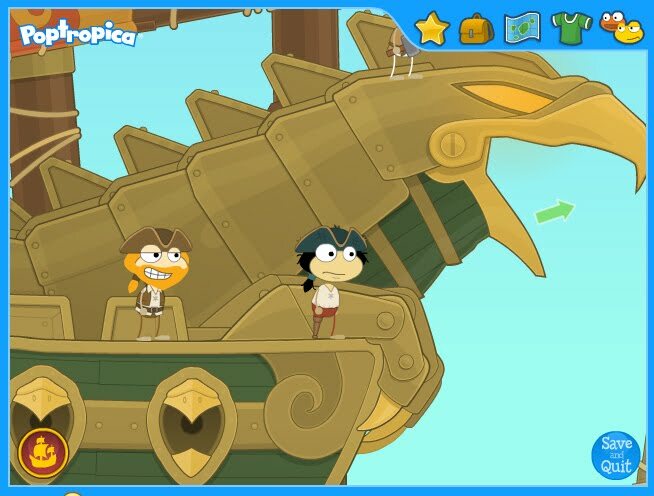 Poptropica's Skullduggery Island will be available to everyone this Thursday! Look familiar? 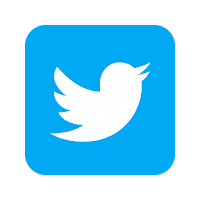 Just click on that window pane to see what you find! Today when I visited the common room on 24 Carrot Island some of us saw this girl wearing a spooky yet stylish outfit. I wonder where she got it. There's a new quest for our younger Poptropicans on Main Street! Update: The poll is closed. Thanks for voting! Here's a sneak peek at some creepy beasts that might be appearing on a future Poptropica island. Which one do you think is scarier? Vote in our poll on the sidebar! 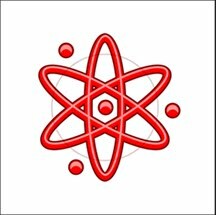 I received special instruction to reveal to you this mysterious image. Be wise. 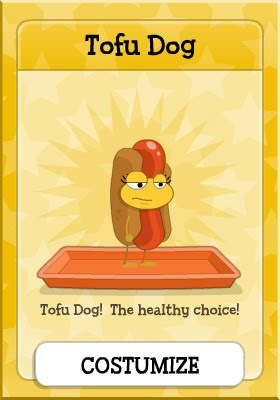 With this small piece of information you could save the future of Poptropica. Your mission, for now, is to wait patiently until further notice.